Comment: I live in a double wide trailer. Trying to remodel some windows and doors. Comment: Leave in a double wide trailer would like new doors and windows. Comment: 2 windows are damaged, 2 have leaked gas. They are Pella and have not lasted long. We will not go with Pella. Comment: Replace existing wood windows with either vinyl or vinyl clad wood windows. Comment: This is a stretch ranch house that serves as an Adult Day Care Facility for Bag Aging. They are in the process of remodeling the building and are budgeting for capitol improvements ,such as (i.e.) window replacement and doors. Gloucester Window Replacement Companies are rated 4.61 out of 5 based on 406 reviews of 9 pros. 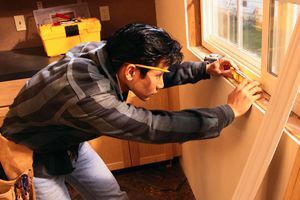 Not Looking for Windows Contractors in Gloucester, VA?